I was in London for five nights and planned to review one show each night. I accomplished that goal, and this is a review of Night #5. 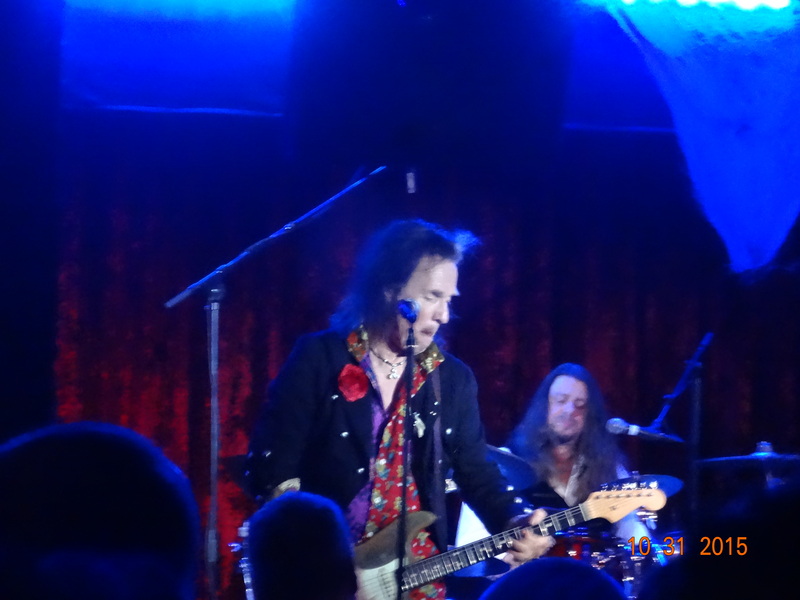 I wasn’t sure where to go on Saturday night as recently as yesterday, but after a bit of research, I stumbled across Bernie Tormé’s gig at The Borderline and thought a night back in my original genre would make a good end to the trip. As a few of you may know, hard rock/heavy metal has always been my “home” as a genre, and one of my earliest writing gigs was for Tough Tracks magazine “back in the day.” So reviewing this show was sort of like going back to my roots. In fact, The Borderline reminded me a lot of Axis, which was one of the clubs where I spent a lot of time in Boston way back when I started as a rock journalist. So yes, you’ll find me “going there” from time to time. It’s still my music, even as my tastes have broadened with so many years of reviewing every type of music sent my way. It seemed rather odd seeing just two band members on stage, and the powerful wall of music the power duo puts forth is incredible. The band opened with a raw hard rocker with a surprisingly tuneful vocal. 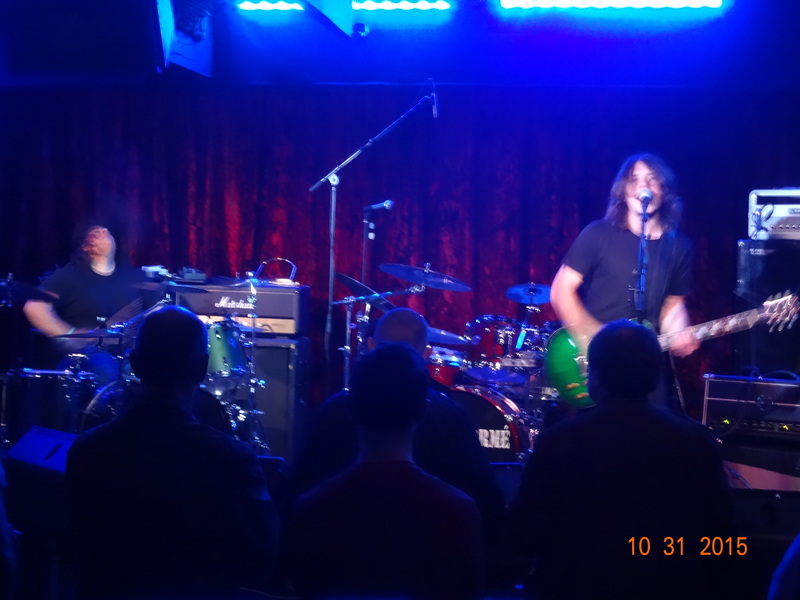 The next tune was rawer with a little punk influence and great, manic drumming. Rusty G’s then proceeded to open its next number Blue Oyster Cult-ishly, more raw but with nice tempo changes. Overall, Rusty G’s are a solid rock band. I still can’t get over the fact that such a full, catchy hard rock sound comes from a 2-piece. Musically, the band is really good at finding and maintaining a rock ‘n roll rhythm in its songs — or for stretches of songs, as Rusty G’s will change the rhythm sometimes within a song. They’re an impressive live band, and not just because of the drummer’s flying hair. Wow! It has been a long time since I’ve seen a guitar god in action, and Bernie Tormé has the pedigree to accompany his flying fingers. The dude’s an axemaster extraordinaire! I’ll let you look it up for yourself if you don’t already know him, and though this style of music hits my sweet spot of music knowledge, I’ll admit I wasn’t familiar with him until I checked out his résumé before deciding to attend this show. Oh, but the packed club knew exactly who he was. They knew all of his songs back through his musical history. Many even helped crowdfund his new album, Blackheart. And I was about to experience what they already knew. 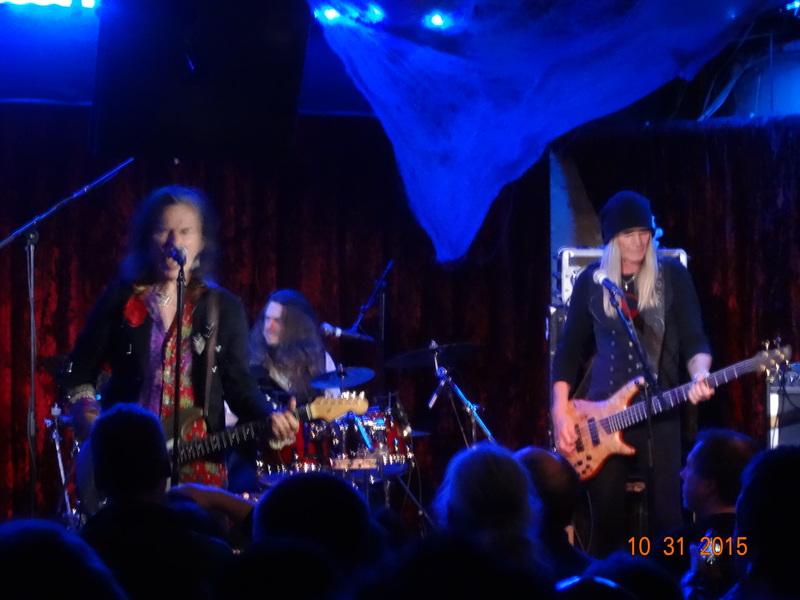 Bernie Tormé can shred with the best of them. Indeed, right from the start of first song “Wild West,” Bernie and his power trio were obviously in the big leagues. That was followed by a straight-up rockin’ tune with a bluesy-ish vibe and a catchy rhythm… and oh my god, the guitar licks! Just about every song had some amazing guitar and was driven by trademark heavy metal rhythm section. The vocals and song styles were well-structured yet raw-feeling, as if your favorite band in concert, without any of the bells and whistles that cleaned up the sound in the studio. This was a rawk and roll concert, baby! 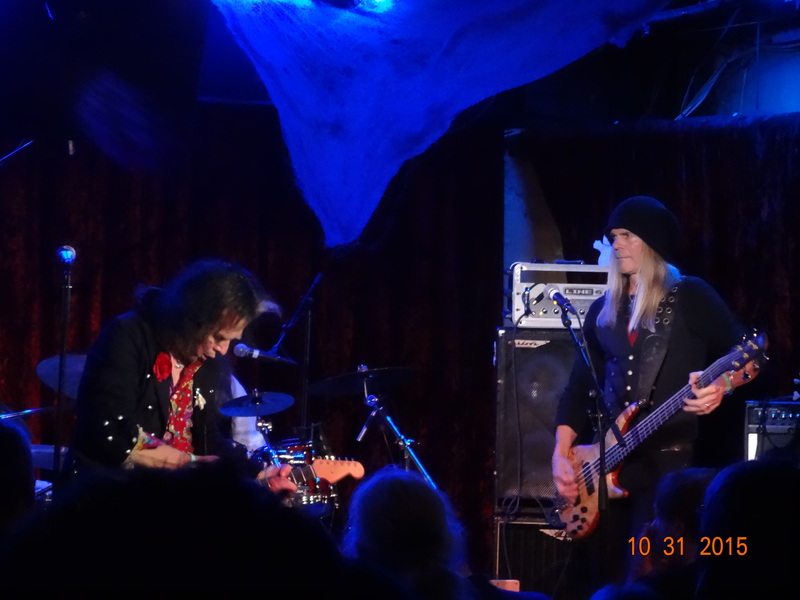 There were a couple of songs whose opening rhythms were reminiscent of a cross between the rhythms of Scorpions’ “The Zoo” and George Thorogood’s “Bad to the Bone.” Bernie pulled out a harmonica on another hard-rocking tune. Many of the songs marched along full steam ahead, but Bernie can throw in some hooks, too, to get fans singing or at least moving to the song on the first listen. And there were, in fact, a couple of songs with audience-participation vocal parts. Just past the midpoint of the show, the band took a seat on the front of the stage, Bernie grabbed an acoustic-electric guitar, and the group treated its crowd to a one-song change-of-pace. And with that, a real rock show ended, and Bernie and his band left the stage to mingle with their throng of supporters. I can think of no more felicitous end to my five nights in London that a return to my roots by covering a guitar god-driven hard rock/metal club show. Certainly, at least for a while, the flurry of articles will subside. I have some ideas for review but will also continue to set up the behind-the-scenes items, including getting some other writers up and running for the blog so it isn’t just me doing all the writing anymore. Also, I’ll be back at work again, so I’ll lack the free time I’ve had that has allowed me to write 14 articles in the last two weeks. But please enjoy these first 14 articles, look back through them if you haven’t already and discover some great music spanning several genres. And do subscribe so you’ll get them delivered directly to your inbox. (There’s probably an option to do that in the bottom right of your screen, at least if you’re viewing this on your PC.) Now that we’re launched, I do promise not to clog your inbox. My rule of thumb will be no more than one a day, a rule I’ll possibly never break now that we’re up and running and actually have subscribers. Indeed, I’m glad to be back writing about music again, and I hope you will continue to enjoy reading what my team and I share with you on Geoff Wilbur’s Music Blog. This entry was posted in Live Reviews and tagged Bernie Tormé, Five Nights in London, Geoff Wilbur, Geoff's Night Out, Live Review, Rusty G's, The Borderline. Bookmark the permalink. Thanks, Herbert. It was a pleasure meeting you, too. Glad you enjoyed the review. Your comment is exactly what I hope to see in the comment sections, too. It should be a place where fans (and bands) add additional information to enhance what’s in the review. I may have to see if I can dig up my old Gillan CDs (that I received during their 1989 re-releases) to see if I can find my copy of Glory Road and listen to “No Easy Way” on disc.